Supplied as a pack of 8 bulbs, ready to plant. 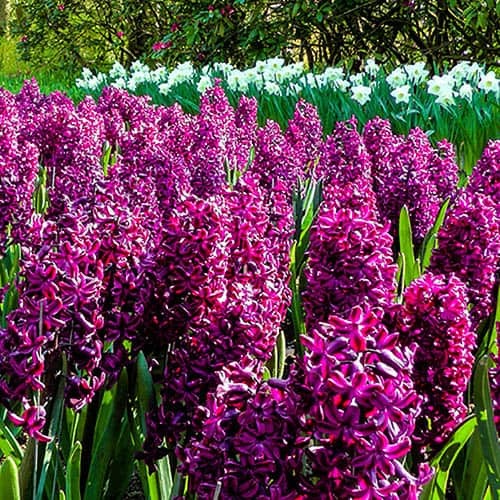 Hyacinths are usually thought of as indoor bulbs, but they are very easy and reliable outdoors too. When planted in beds or borders, they will fill your garden with powerful fragrance each April and of course their majestic flowers can be cut to make magnificent indoor cut flower displays too! They are really easy to grow once planted, leave them in the ground and theyll flower for many years getting bigger and better each year! Woodstock is a fantastic variety that produces beautiful magenta-purple blooms in spring. They are perfect for indoor displays.